A stunning and elegant 150th Anniversary Edition of Whitman's celebrated Civil War poems, accompanied by moving photographs and artwork shedding new light on this tragic but significant chapter in American history. 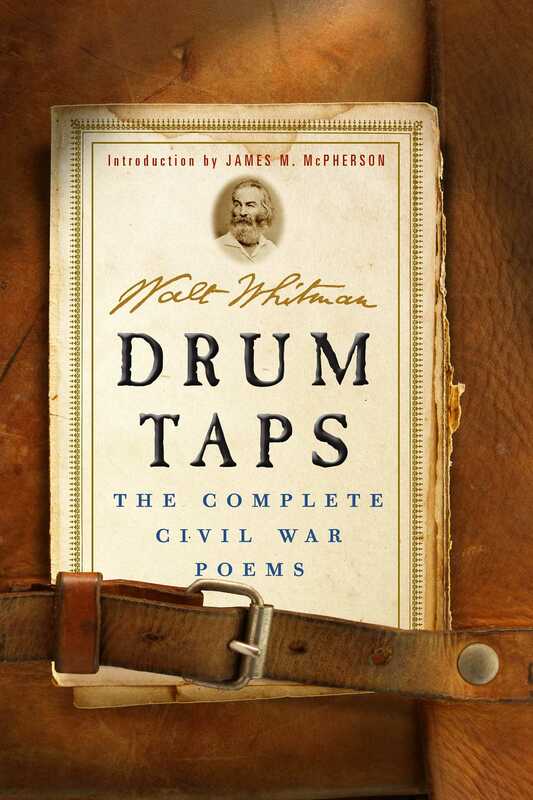 Drum Taps is the complete Civil War poem collection by Walt Whitman, including the celebrated Oh, Captain, My Captain!, and augmented with Whitman's essays from the period on subjects such as Secession, Abraham Lincoln, working in the Civil War hospitals, and the assassination of the president. For the first time ever, each poem is set on a single page, and augmented with stunning artwork from the period: bright, rich, full-color engravings from Currier & Ives; the brooding and detailed photography of Alexander Gardner and Matthew Brady; watercolors from the battfield by Winslow Homer and other famous artists; and classic photographs and art from America’s richest collections, including the Library of Congress, the National Gallery, the George Eastman House, and many other collections. With gorgeous, old-fashioned hot type, beautifully restored period artwork, and an authoritative introduction by Civil War historian and Pulitzer Prize-winner James McPherson, this is the richest edition of these moving and thoughtful poems by America’s greatest poet ever published. "This illustrated edition [of Drum Taps], the first ever published, makes the war even more real to readers of the poems and viewers of the photographs, which offer a stark portrait of the grim realities of war that confronted Whitman as he made the rounds of hospitals and battlefields."